There are people in search of pure, beautiful sound. For them, listening to music is a lifelong, liberating passion. From Antiquity to the Enlightenment, Plato’s thought prevailed – that absolute beauty is self-contained, objective and contained in material, no matter the appraiser. In the eighteenth century, aesthetic judgement was marked by a turnaround, and today, it is Kante’s hypothesis that “beauty is in the eye of the beholder” that is more widespread. We are here to help the adherents of both these theories. On the one hand, we ensure concert-quality sound – or fabric – no matter if you are listening to the soft, melodious vibration of campanella bells, the dizzying rhythms of massed drums, the lyrical, gentle dialogue of a trumpetpiano duo, or a crystal-clear singing voice. On the other hand, we are paving the way to reveal the full potential of any musical work (even one beyond our sensitivity), and uncover the maximum technical capacity of any audio system. Out of respect for both composer and performer, often devoting much time and energy to a piece of music (though Mozart allegedly composed music faster than he could play it), we put in every ounce of effort, so that you are able to totally grasp the emotions that underpin each sound. Thanks to our solutions, you will experience music as it truly should be. Each product is tailor-made and hand-crafted, with singular care and attention to detail. In a world dominated by plastic, we turn towards natural materials. Audiophiles have more sensitive aural perception than the rest of humanity. We understand that empirical reality. We believe there’s nothing better than spending time doing what you love. Listening to music is our need, habit and pleasure. The main objective of an audio system is to play music as near to the artist’s intentions as possible; preserving the natural timbre, dynamics, sustain, stage depth and width, as well as loudness. When listening to music saved to files on a storage medium, it is necessary to connect the computer to a Digital-Analogue Converter (DAC) using a USB cable. This “link in the chain” is often overlooked and neglected. After all, the transmission is digital, so there is no way of improving or losing anything – all you need is a CD converted properly into FLAC format (a lossless, bit-stream format), right? But have you heard of the EmDrive engine designed by NASA, which works even though it breaks the laws of physics? Moreover, have you heard of a quantum tunneling effect? Just before a concert at the symphony, flawed music flows from the orchestra pit. This chaos of phrases, isolated from sheet music, and cacophony of instruments being tuned, soon turns into colourful and atmospheric form, harmony and order. All it takes is the presence of a conductor who skilfully takes control to guide the musicians. Skilfully – because a weak conductor is a weak orchestra. In simplest terms, a USB cable acts like an orchestra conductor. A mediocre cable transmits a mediocre signal. This does not mean losing the main musical message of an audio recording, and there is no risk of losing the vocals or the string section. But you will lose out on all those “extras” that go with it. During playback, the details that condition depth, width and clarity of sound will fade out. Sometimes, conductors, attempting to obtain the composition’s proper interpretation, tell the musicians not to strike the notes, but play them in a given manner. “Harp, cover the orchestra with this arpeggio, as if you were wrapping it in a coat; not a hailstorm.” “Trombones, your forte is too penetrating!”1 It is impossible to hear such subtleties when the USB cable is ignored. It plays an unquestioned role and deserves as much attention as any other element of a given audio system. This has been proved in playback tests on various audio system configurations. 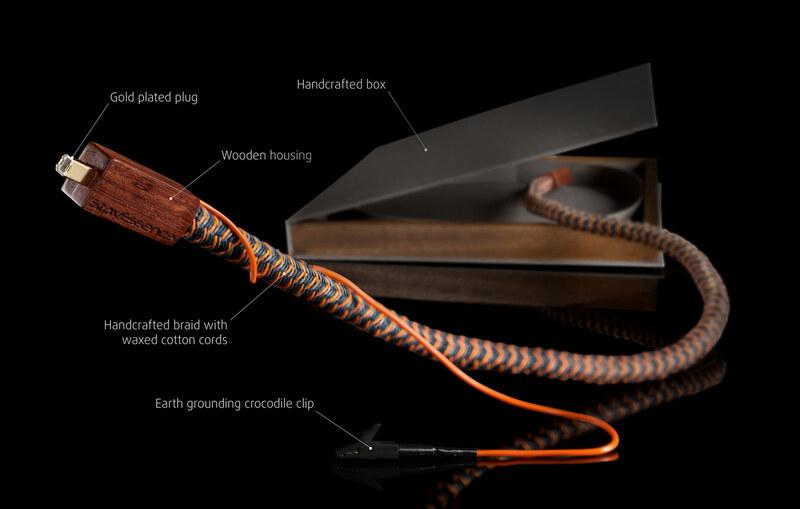 We have demonstrated that the USB cable can change the sound character of the entire system and take it to the next level, with no need to replace the amplifier or speakers. 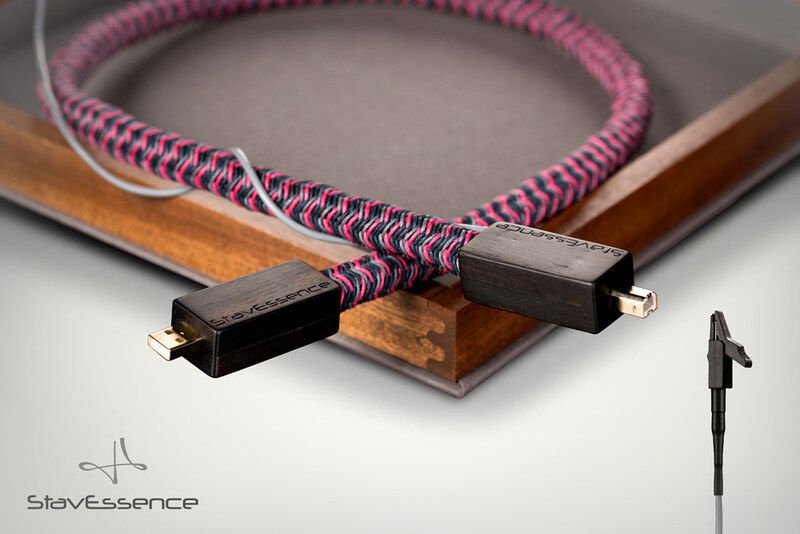 Our Audio Cables are recommended to connect with all LampizatOr DACs (Golden Gate, BIG7, BIG5,…) and music servers. We do love tubes, horns and handcrafted equipment. We use it to listen to music at home. I have Destination Audio horn speakers in my home for years. They are the best speakers I’ve ever heard in my life. I highly recommend them. I met wonderful people from 6moons. We try to be the some enthusiasts of listening to music as they are.